It’s official: Palmyra residents can finally commence holiday festivities. Between the annual township traditions and county-wide winter fun slated for this season, the coming weeks are chock-full of events and activities suited for all ages. The Palmyra High School Band Parents Association is raising money for the band with its 40th annual craft fair. On Dec. 2, head over to Palmyra High School from 10 a.m. to 3 p.m. for a delightful afternoon of shopping, creating and performances by the band and raffles. “Our hopes and goals for the Craft Fair are to always provide a fun, friendly event for our crafters, students, and the community,” Susan Van Emburgh, PHSBPA president, said. All proceeds will go toward instrument repairs, uniforms, sheet music and anything else the band students may need. ’Tis the season, so come all ye faithful and join in the yuletide festivities at Historic Smithville Park & Smith’s Woods Dec. 3. From noon to 4 p.m., all are invited to witness ice carving demonstrations, live reindeer, tours of Smithville Mansion, live entertainment and a holiday marketplace with one-of-a-kind gifts. Appearances by the Grinch, Ebenezer Scrooge and the Clauses are sure to delight the masses, along with holiday train and carriage rides. Admission is free, but fees apply to tour the Mansion, whose halls will be decked with boughs of holly and other authentic decorations. Proceeds benefit the Friends of the Mansion at Smithville. Don’t forget the figgy pudding! The Burlington County Community Agricultural Center’s annual holiday market will open for business Dec. 2 from 10 a.m. to 2 p.m. at 500 Centerton Road in Moorestown. Check a couple items off your holiday shopping list and your grocery list in one stop! Looking for a holiday activity that will burn off grandma’s Christmas cookies? 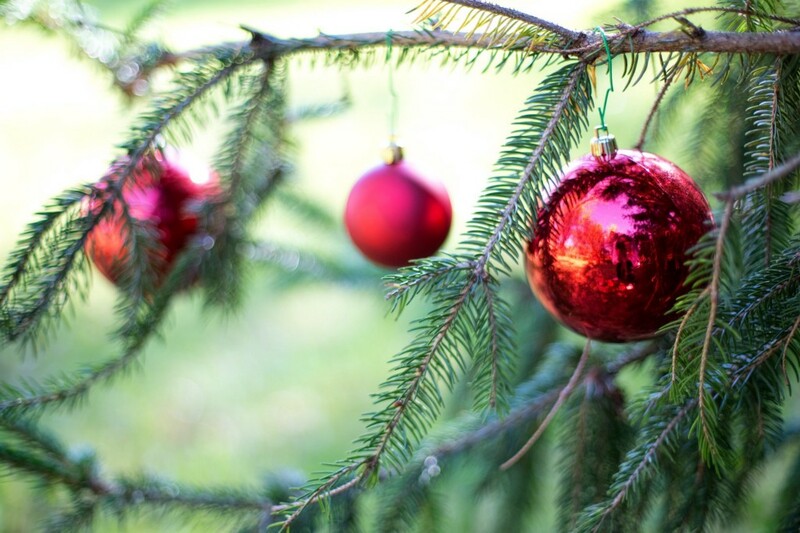 Visit the Rancocas Nature Center on Dec. 10 from 1 p.m. to 2:30 p.m. to search for Saint Nick on a hike the whole family can enjoy along with a cup of hot chocolate and a campfire. In addition to this event, there will be a bake sale hosted by South Jersey Homeschool Builder’s Club. “Santa couldn’t fit into his suit this year, so Mrs. Claus is sending him out for some exercise,” the Burlington County Agricultural Center said. Call (609) 261–2495 or email info@rancocasnaturecenter.org to register. The cost is $15 per parties of five for RNC members and $21 per parties of five for nonmembers. Riverton Free Library is offering a host of holiday activities to keep the public occupied the entire holiday season. Be sure to check out what your local librarians have planned. You may have seen nail polish marbling on Pinterest, and thanks to the Riverton Free Library, you can practice the technique to decorate handmade gifts this holiday on Dec. 5. At 6:30 p.m., make seasonal goodies like coaster sets, decorative jars and wrapping paper with your favorite nail polish colors or use the colors supplied by the library. It’s perfect for small gifting and holiday decorating. What’s better than drinking a cup of hot chocolate on a chilly December evening? Drinking a cup of hot chocolate while creating a holiday-themed painting. Stop by the library Dec. 12 at 6:30 p.m. to enjoy this perfectly festive duo. Materials and step-by-step instruction will be provided. Bring friends and your favorite holiday music for this how-to art class. The holiday season wouldn’t be complete without a tasty crafting activity. On Dec. 16 at 3:30 p.m., join in and make a “gingerbread” house out of graham crackers, which you can decorate with colorful candy toppings to add all of your special touches to your house and your belly. Please visit the bcls website or call (856) 829–2476 to register.